It can be difficult to tell a prepper from a regular Joe or Jane. He or she may work in your office, take your bus, or shop in your supermarket. You can’t necessarily tell who has an extra room off their basement filled with canned foods, matches, and band-aids. Or who has weather-tight storage bins in their attic holding water purifier tablets, batteries, and old dryer lint. OK; maybe some preppers would be easy to identify – if you ever actually saw them. But those preppers are likely living in a secluded off-grid cabin. Next to a private stream. Surrounded by redundant layers of security barriers. In the middle of their 80 acres of land in Nowhere-ville. But I believe the majority of preppers simply try to think ahead. They do what they can, bit by bit, and keep a low profile about it. For example, they might brainstorm a list of what extra supplies would be useful in an emergency, and then take steps to stock up. 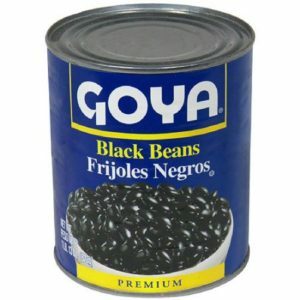 Buy an extra couple cans of beans this week, and an extra bag of rice the next. Store them but rotate the stock. Buy two boxes of band-aids instead of one. Make a little progress each week. You know what, I take it back. There are some preppers that you can pick out of a crowd with your eyes closed. Just listen for the telltale sounds: A rhythmic gulping. Seemingly random laughing and/or crying. Or perhaps a full-lunged cry of “MOMMY!” I think I’ve buried the lede here: Mothers are preppers. Their scope may be a bit narrower than that of the traditional prepper, but their crises are more frequent. Their scale may be somewhat smaller than that of the traditional prepper, but their resolve is no weaker. Any mother (or father, grandparent, aunt, uncle, etc., for that matter) can probably share a story of how they left for that long car ride without the binky; how they made it all the way to daycare before realizing that the lunch was still perched so unassumingly on the kitchen counter; or how they survived the trip to that distant but beloved relative’s house, but left their little one’s beloved toy at the rest stop. It only takes one such incident before a Mother learns to anticipate and plan ahead for all of the mission-critical details that could go awry. Before long, these need-anticipation and disaster-prevention protocols become second nature. It is often as simple as having an extra snack with you even though there is no conceivable way that your little one could possibly be hungry (except that they suddenly are). Or as simple as having kiddie Tylenol with you when that nasty fever that strikes out of nowhere. Because anything you can do ahead of time to ensure that an event, trip, outing, meal, etc., goes smoothly, is time well spent. But the lofty goal of truly being prepared for anything is less like an endgame and more like a living process. The day when you stop preparing – and are “prepared” – never comes. There are new risks every day. Say your kid’s asthma flares up. What if you forget her inhaler when you leave the house? You develop a certain mindset. The same mindset that inspires a prepper to add pandemic supplies to his stash, because of a news story about a new strain of koala-borne illness. The point is, any moving goalpost is not a reason to stop trying. It’s a reminder that life does not stay the same from one day to a next. Indeed, it’s a reminder that all things in life are works-in-progress. Like the prepper buying that extra can of beans, we don’t plan to plan. We plan to take comfort in the fact that we are moving in the right direction. And that’s what financial planning means to me. It’s not about checklists or spreadsheets or crisp suits. It’s about finding the best way to keep your loved ones happy, safe, and empowered. It’s a living, breathing process: A process that can (and will) be imperfect and messy. A process that may not envision the same finish line from one year to the next. And planning is a worthy process. Because it’s about providing for your family. And inspiring them to provide for themselves. Financial goals are big picture. But they’re also in the details of day to day life. So maybe don’t start by worrying about a comfortable retirement. Start by channeling your inner prepper. Only it’s not about the coming zombie outbreak. It’s about making a household budget and sticking to it. It’s not about heading off a colossal EMP that will wipe out the entire power grid. It’s about being flexible when life moves the goalposts. It’s not about the looming apocalypse. It’s about planning for college. It’s not about the inevitable heat death of the universe. It’s about making sure that your loved ones know how to take over for you, and carry on when the time comes. All of us who seek to be prepared – no matter how we define it – accomplish our goals in small steps every day. Progress toward our financial goals can be measured in good choices, even if they seem like small choices. All change is incremental, and all we can do each day is our best. A mother, like a prepper, generally focuses on the goals of protecting and sustaining her loved ones. This is precisely why I believe that financial planning is such a vital subject to be addressed with all families. And mothers, particularly, are in a unique situation to make the family’s financial goals into shared goals of the entire family. For moms, a financial plan protects and sustains the things that matter most. Making small choices every day in support of these financial goals is perhaps the most fundamentally “motherly” way to handle money. It’s another way a mom loves, and an important one. Taking financial actions — small, daily ones — is great. But taking those actions in full sight of the entire family is even better. It’s both formative and empowering. It’s another way a mom invests in her most precious asset: Her family. As for those cans of beans, though – those wouldn’t hurt either.